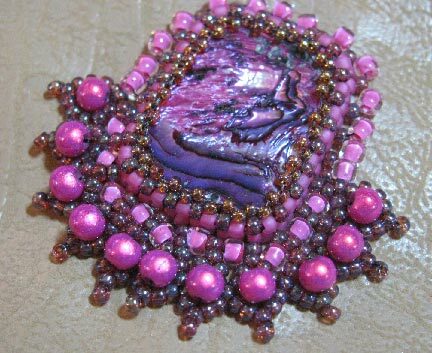 Beading Arts: Bead embroidered pink pendant...or is that "Radiant Orchid"? 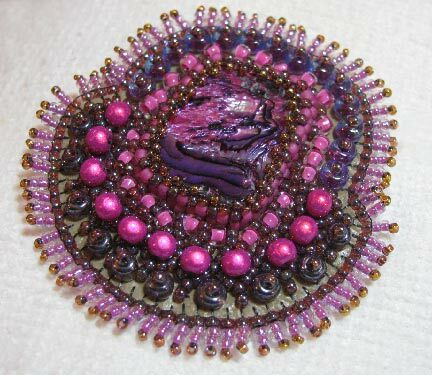 Bead embroidered pink pendant...or is that "Radiant Orchid"? 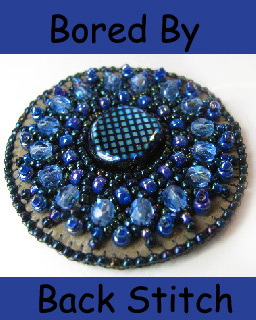 In the process of preparing to write the second chapter of Bored By Back Stitch, I made a LOT of these little pendants to try out my ideas. Since some of my favorite colors happen to coincide with Pantene's favorite color this year, I fell under the spell of Radiant Orchid! 1. 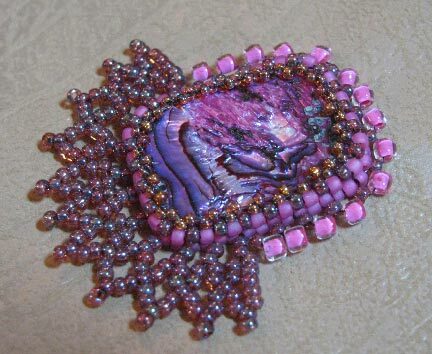 This one started out with a bezeled flat rectangular bead. I added RAW to the top half and chevron stitch to the bottom. 2. 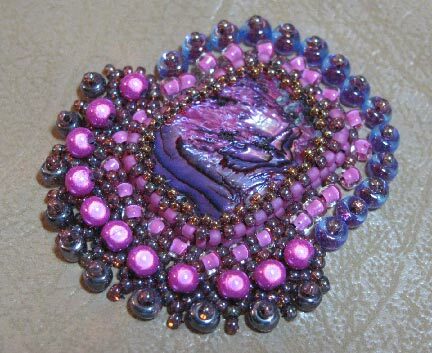 All the holes were filled in with appropriately sized beads. The larger ones are 4 mm. 3. I added short stack stitches the whole way around. 4. Add backing fabric with edging brick stitch all around the outside and decorate with short stack stitches (Free instructions available). 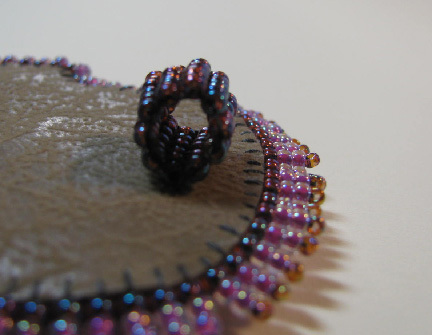 A square stitch bail finishes off the back. 5. And done! I wear it on a black rubber cord. Step by step instructions for all the stitches and techniques shown in this tutorial.